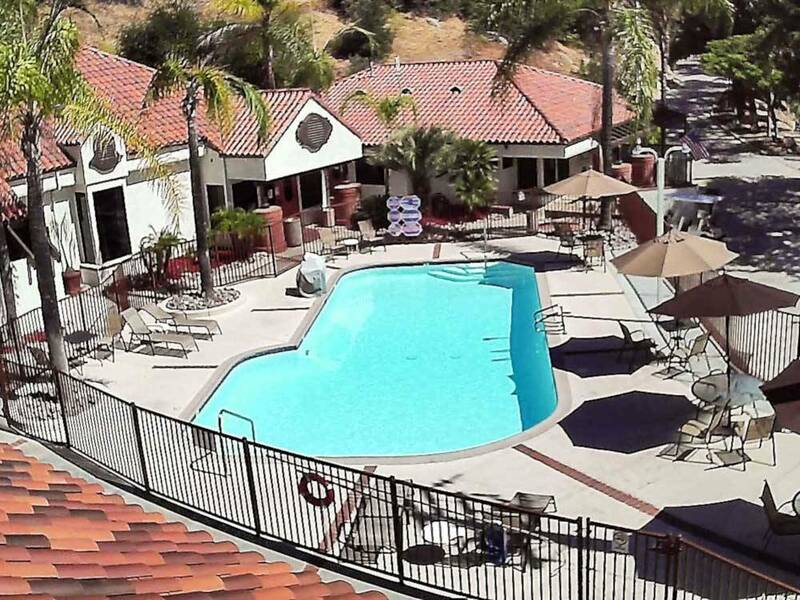 Relax in a nice quiet OFF FREEWAY location after a fun day visiting SAN DIEGO'S attractions. Enjoy our heated pool and spa. Take a relaxing stroll along Los Coches creek. Beautifully landscaped park. Pet friendly. Would love to keep this a secret so that we can continue to come here! This is by far the best park in the area. We will be back soon! Road going in is one vehicle only. Spots are very tight. Second night in we were told we couldn’t park next to our trailer as it was our neighbors spot. We spent 3 nights at the park. I am a big rig and tow a car. At $44.70 per night -including the Good Sams discount- this is by far the most I have ever spent to stay at a Good Sams Park (we have stayed at 30 Good Sams Parks in the last year). The location is very convenient to all the San Diego attractions. The park deserves the 10/10/9 ratings - very nice in all respects. Staff excellent and provided lots of useful information about local attractions. The roads and sites are somewhat tightly spaced but the management went out of their way to give me their largest RV site. I would recommend this Park to those traveling in the area. Thank you for your review. We are happy that you found our park. We are a top rated Good Sam park and our prices are equitable to other Good Sam parks in our area. We strive to provide service that is equivalent or above what you expect for the price point that you paid. Again, thank you for choosing our park and we hope you will consider us again in the future. 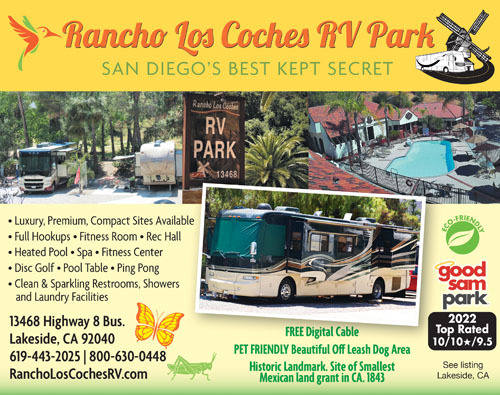 From Jct of I-8 & Los Coches Rd (Exit 22), N 0.5 mi on Los Coches Rd to Hwy 8 Bus, E 0.4 mi (L) Do Not Use GPS.